At first glance this looks like a historical tower. But look closer, and you'll see the solar panel built into the masonry. 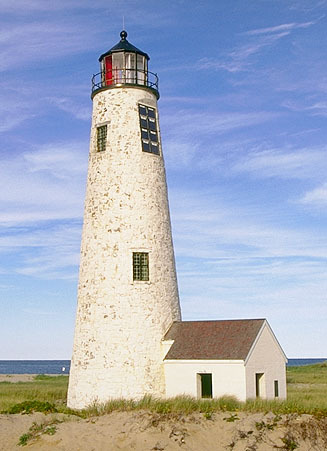 In fact, the current Great Point Light is just over 10 years old. The site was first established in 1784, with the original wooden tower destroyed by fire in 1816. The following year a stone tower was installed at Great Point, and the tower remained until a raging storm toppled it in March, 1984. The modern replacement tower went into service in September, 1986. The new tower replicates the old white rubblestone tower with attached entry shelter. Aside from the solar panels to recharge the batteries, the new tower has another important modern addition. 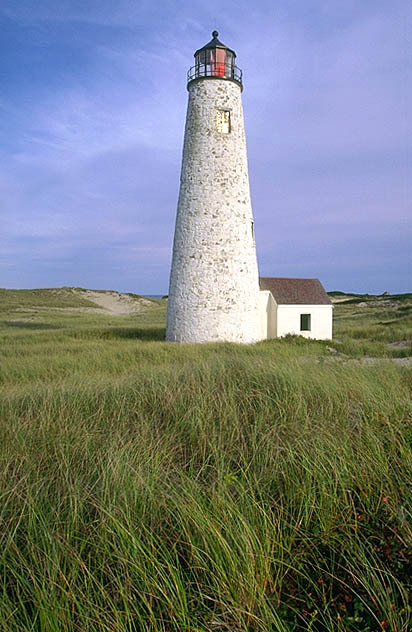 It sits on a sheet pile foundation with a 5-foot thick concrete mat which protects the lighthouse from erosion. 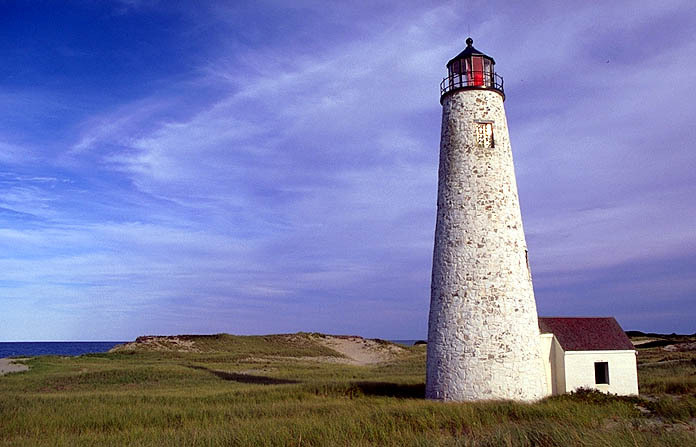 It's nearly impossible to visit Great Point without arriving by boat or 4-wheel drive vehicle. The tower sits several miles up a thin spit of beach.